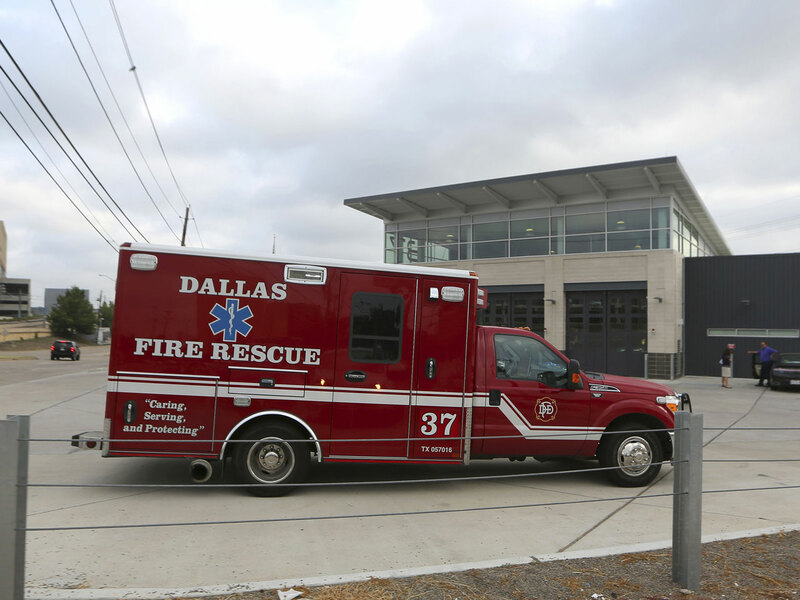 DALLAS - A handful of school-aged children who had contact with the first man diagnosed with Ebola in the U.S. are being monitored. Health officials learned Wednesday that five children have been identified as having contact with the man and are being monitored at home. The man has been in isolation at Texas Health Presbyterian Hospital in Dallas since Sunday. Health authorities have not revealed his nationality or age, but the man who is the first person to be diagnosed with Ebola in the U.S. was identified as Thomas Eric Duncan by CBS Dallas station KTVT-TV. He was listed in serious condition Wednesday. Authorities say the ambulance crew who transported the man and members of his family are among the 12 to 18 people being monitored after exposure to the man. Some are family members, but not all, officials said. The three-person ambulance crew has so far tested negative for the virus, but are still being isolated. Duncan told relatives that he notified health care workers the first time he went to the hospital that he was visiting the U.S. from Liberia, his sister Mai Wureh told The Associated Press on Wednesday. She said Duncan went to a Dallas emergency room on Friday and was sent home with antibiotics. He returned two days later after his condition worsened and was admitted to Texas Health Presbyterian Hospital. Dr. Mark Lester confirmed Wednesday that a nurse asked Duncan on his first visit whether he had been in an area affected by the Ebola outbreak that has killed thousands in West Africa, but that "information was not fully communicated throughout the whole team." The team from the Centers for Disease Control is in Dallas to work with local and state health agencies to ensure that those people are watched every day for 21 days. "If anyone develops fever, we'll immediately isolate them to stop the chain of transmission," Tom Frieden, director of the Centers for Disease Control, said. Earlier Wednesday, Frieden told "CBS This Morning" he was not worried about this being the beginning of an outbreak. "The bottom line is we're stopping this in its tracks in the U.S.," Frieden said. "And I'm confident we can do that because of our strong health care and infection control, and our strong public health system." Duncan has been in isolation at Texas Health Presbyterian Hospital since Sunday. He was listed in serious but stable condition Wednesday. "Ebola doesn't spread before someone gets sick, and he didn't get sick until four days after he got off the airplane," Frieden said. Blood tests by Texas health officials and the CDC separately confirmed his Ebola diagnosis Tuesday.